Australia and South Africa are to share the world’s biggest telescope – the Square Kilometre Array. After an intense six-year battle between the two bidding nations, a split-site solution for the giant radio telescope has been reached, with antennas to be built in both countries. The decision was made on Friday night at a meeting in Amsterdam of the board of directors of the international SKA Organisation overseeing the telescope’s construction. It had been feared Australia would miss out, after an independent scientific panel in February narrowly recommended South Africa as the preferred site. To be one of the great scientific projects of the 21st century, the array will be so sensitive it could detect an aircraft radar on a planet 50 light years away. It will be able to look back to the dark ages just after the Big Bang, and could help answer some of the big question of the cosmos, such as whether we are alone, and the nature of mysterious dark energy and dark matter. Due to be fully operational by 2024, the internationally funded project will provide a significant economic boost to both countries, particularly in the construction, engineering and IT sectors. In a majority determination it was decided that most of the dishes that will comprise the array in the first phase will be built in South Africa and combined with a 64-dish telescope planned there called MeerKAT. More SKA dishes will be added to a 36-dish telescope almost completed in Australia called the Australian SKA Pathfinder. A second set of mid-frequency antennae will be built in South Africa and a third set of low frequency antenna will be built in Australia. The core Australian site is in the remote shire of Murchison, in Western Australia, a radio-quiet zone about 300 kilometres north-east of Geraldton which has only about 100 people in an area larger than Holland. In South Africa, it is in the Karoo desert in the Northern Cape. The decision to share the telescope, which will have three types of antennas including 3000 dishes, was made by five of the organisation’s eight member nations – Italy, the Netherlands, Britain, Canada and China. The concept of building a mega-telescope with a square kilometre of collecting area was proposed 20 years ago. Australia and South Africa were shortlisted as potential hosts in 2006. In March, the Herald broke the story that the independent scientific panel had recommended South Africa. However a final decision was delayed while a new scientific working group investigated the possibility of an ‘‘inclusive approach’’ that would ‘‘maximise the value from the investments made by both countries’’. 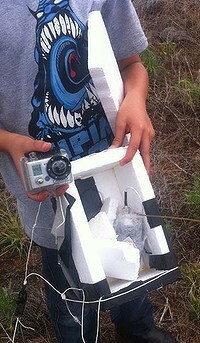 Russia believes fragments of its Phobos-Grunt probe, which spiralled back to Earth after failing to head on a mission to Mars, has crashed into the Pacific Ocean. “According to information from mission control of the space forces, the fragments of Phobos-Grunt should have fallen into the Pacific Ocean at 17.45pm GMT (4.45am AEDT on Monday),” space forces spokesman Alexei Zolotukhin told the Interfax news agency. There was no immediate comment from Russia’s space agency, Roscosmos, which throughout the day, as the probe approached Earth, had given wildly different predictions about where it could land. 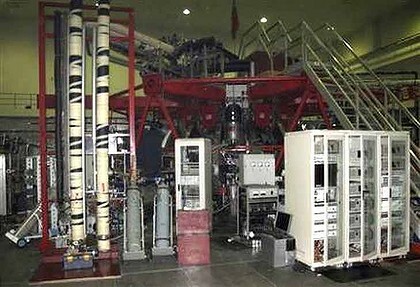 Zolotukhin said that the space forces had closely followed the probe’s course. “This has allowed us to ascertain the place and time of the fall of the craft with a great degree of accuracy,” he told Interfax. The Phobos-Grunt spacecraft should have been on an expedition to Mars’ largest moon but instead became stuck in an Earth orbit that has become lower and lower as it becomes increasingly tugged by the Earth’s gravity. No- one really knew or could even explain how it was possible that these moons came to be in the form that they are in. These moons, which are only about 20 miles across, have baffled researchers throughout the years. After much deliberation, and just as much curiosity, a handful of researchers thought that they may have a few answers to the much debated question of how these moons came to be by studying countless photographs. Some theories claim that the moons would have started out as very immense cores that originated from the collision that caused the rings to be formed. By starting off as a massive core, it would allow a limitless number of smaller ring particles to bind themselves to the core causing them to form the moon. It was the only explanation given as to why the moons are the shape that they are and the size that they are. Much in the way that the rings of Saturn were formed around the planet is the explanation given as to how the ring-like structure has formed around the moons. 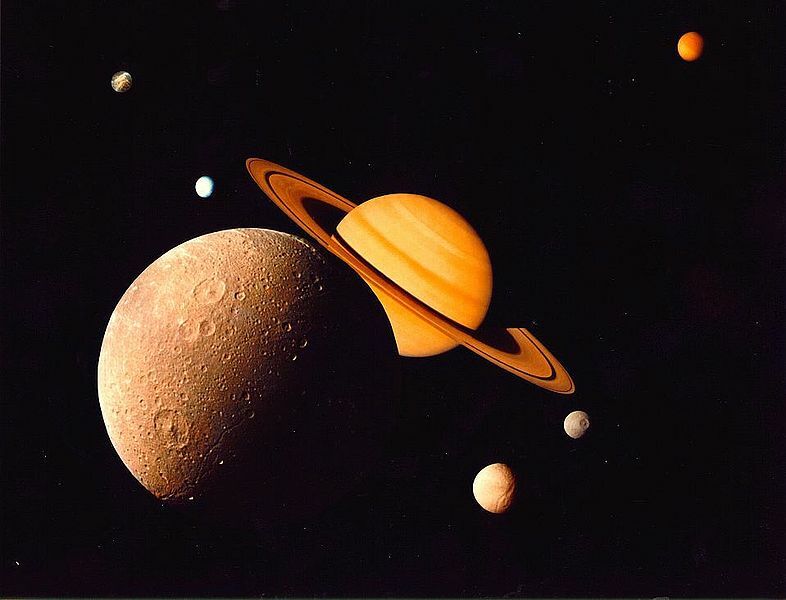 Research that was performed at the Southwest Research institute suggested that Saturn must have had many large moons in its early history. It was suggested that these moons probably were on a collision course with the planet and during the flight towards the planet they caught on fire and the ice shell surrounding them melted. This would leave way for the rock to sink to the centre. While much of this is still a mystery, many still marvel at the amazing moons surrounding the planet Saturn. NASA has released a trove of data from its sky-mapping mission, allowing scientists and anyone with access to the Internet to peruse millions of galaxies, stars, asteroids and other hard-to-see objects. Many of the targets in the celestial catalog released online this week have been previously observed, but there are significant new discoveries. The mission’s finds include more than 33,000 new asteroids floating between Mars and Jupiter and 20 comets. NASA launched the Wide-field Infrared Survey Explorer, which carried an infrared telescope, in December 2009 to scan the cosmos in finer detail than previous missions. The spacecraft, known as WISE, mapped the sky one and a half times during its 14-month mission, snapping more than 2.5 million images from its polar orbit. The spacecraft’s ability to detect heat glow helps it find dusty, cold and distant objects that are often invisible to regular telescopes. The batch of images made available represents a little over half of what’s been observed in the all-sky survey. The full cosmic census is scheduled for release next (northern) spring. “The spectacular new data just released remind us that we have many new neighbours,” said Pete Schultz, a space scientist at Brown University, who had no role in the project. 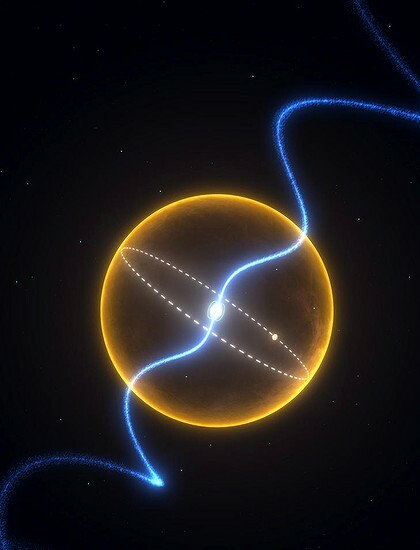 University of Alabama astronomer William Keel has already started mining the database for quasars – compact, bright objects powered by super-massive black holes. “If I see a galaxy with highly ionized gas clouds in its outskirts and no infrared evidence of a hidden quasar, that’s a sign that the quasar has essentially shut down in the last 30,000 to 50,000 years,” Keel said. The mission, managed by NASA’s Jet Propulsion Laboratory, was hundreds of times more sensitive than its predecessor, the Infrared Astronomical Satellite, which launched in 1983 and made the first all-sky map in infrared wavelength.